Across every continent and ocean, animals face an unprecedented threat. Wildlife is crucial for a healthy planet, and the plight of the natural world is a shared problem, requiring a global responsibility. ZSL Fellowship offers an exclusive insight into the work that ZSL undertakes both in the UK, in our two Zoos and also in our active conservation programmes in over 50 countries across the globe. We are in a unique position to apply the world leading science from ZSL’s Institute of Zoology and the expertise of our Conservation Programmes to our projects around the world to ensure impactful outcomes and the conservation of endangered species and their habitats. Apply to be a ZSL Fellow today from only £42 and join a distinguished Fellowship network where you can truly take a part in shaping the future of conservation. As a Fellow you will have the opportunity to vote on the direction of the Society, attend the ZSL Annual General Meeting and are eligible to stand for ZSL Council. Furthermore you have will have access to a host of privileges including borrowing rights in the ZSL Library, discounts on events and symposia, an annual Supporters' Day, complimentary drinks receptions and the chance to be more engaged in the work of ZSL by enjoying unlimited entry to both ZSL London Zoo and ZSL Whipsnade Zoo for you and a family guest. Please contact Supporter Services on 020 7449 6443 or at fellowship@zsl.org with any questions about ZSL's Fellowship programme. If you would like to support ZSL in a different way, please visit our Support ZSL page. As a Fellow of the Zoological Society of London you can benefit from a breadth of academic and access privileges, connecting you with the society's science, conservation and zoological work. Voting rights on ZSL matters, an invitation to the Annual General meeting and the right to stand for ZSL Council. Please contact Supporter Services on 020 7449 6443 or at fellowship@zsl.org with any questions about ZSL's Fellowship programme. If you would like to support ZSL in a different way, please visit our Support ZSL page. ZSL Fellows are invited to a range of events throughout the year, representing the breadth of ZSL's activities and offering you the opportunity to connect with ZSL's science, conservation and zoological work. ZSL Fellows are also offered priority invitations to selected events throughout the ZSL calendar of events. We are delighted to invite all ZSL Fellows to join us for a complimentary drinks reception for Fellows and their guests before each of ZSL's Science and Conservation lectures, which run throughout the academic year. These receptions run between 5 and 6pm and provide the opportunity to meet ZSL staff working on the relevant topics, along with the Speakers from the lectures. 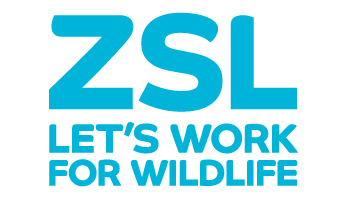 You must be over 18 to be eligible for ZSL Fellowship. Please note that all applications for Fellowship are subject to receive of supporting documentation and final approval by ZSL Council. *Concession Fellowship also includes Students who are not studying a relevant subject, though are eligible through other means. ** Non-visiting Fellows enjoy the academic privileges of ZSL Fellowship only. ZSL Volunteers, past and present; and former ZSL staff are eligible for ZSL Fellowship. Current ZSL staff are not eligible to apply. Zoological science and conservation have been driven by ZSL's Fellows since the Zoological Society of London's inception in 1826. Founded by Sir Stamford Raffles, ZSL's eminent Fellowship has included Charles Darwin, Thomas Huxley, John Gould and Edward Lear, and was also one of the first organisations to allow female members. Our Fellows continue to pioneer field research, launch world-leading science and set standards for world-class breeding programmes, driving conservation science. By joining as a ZSL Fellow, you will be lending your name ot the same programme as these great scholars, while directly contributing towards ZSL's crucial work. "There is so much about the Zoo that I loved. The gorillas of course, but for me, the most memorable aspect is the recognition given to small animals, especially the marine exhibits. Every person, certainly every child who comes to the zoo will leave with their lives enriched and with memories that will last for the rest of their lives." "In 1938 when I was five years old, my father took me to ZSL London Zoo for the first time. I remember well how we sat on a bench and my father told me about how we were all "descended from monkeys". Thus began my seventy year association with the animal world, which included thirty years working in the Mammal Section of the Natural History Museum, followed by thirteen years as an editor of ZSL's Journal of Zoology." "The Zoological Society of London has been one of the most enduring foundation stones of my life. Providing inspiration and encouragement for more than half a century. It has been a forum for discussion and friendship with scientific colleagues that has been a priceless asset." "ZSL has been an inspiration to me throughout my life. I remember my first visit to London Zoo at about four years of age and being amazed at seeing so many different species of animals, especially in the Clore Pavilion. I was particularly impressed by the huge male orangutan next to Guy the gorilla. Now I'm able to put something back into ZSL by editing the Journal of Zoology and being a member of the Zoos Advisory Committee. My involvement with ZSL is always changing - who knows what's around the corner? But, I'll still always look forward to visiting London and Whipsnade Zoos."